Vintage Blouse: I like to buy vintage pieces from time to time; it’s a great way of getting something original and individual. Vintage isn’t about trends, so the items I buy tend to have a longer closet life as I base my decision to purchase on suitability and not fashionability. 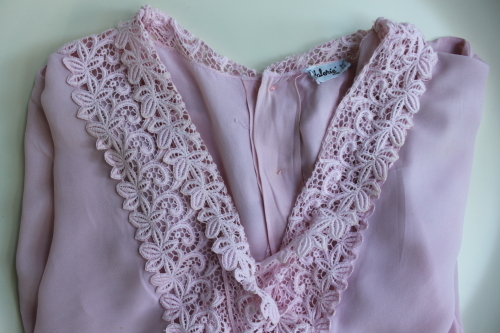 I found this pink lace blouse in Jenny Vander, a vintage shop in the centre of the city, which I think is Dublin’s longest established vintage outlet. I love going in there in search of something out of the ordinary. Mostly I am content to browse but from time to time I come across an item that not only fits me but is also a fit for my lifestyle. Necklace: This is a recent purchase from the MoMuse jewellery range, which I bought in Bow Boutique in Dublin. 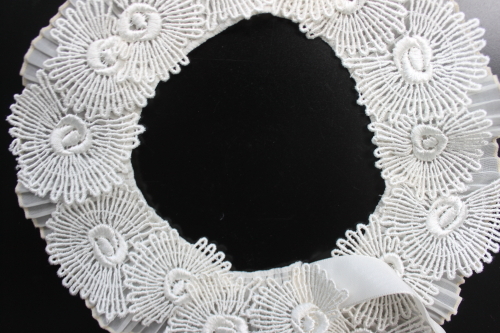 It was only when I got it home and was trying it on with different clothes, that it dawned on me that the cream concoction is a necklace in the literal sense of the word, that is a piece of lace for around the neck. I haven’t worn it yet but I am thinking I may pop it on with a black cashmere jumper in the winter. I love looking at it so I am trying to think of a way to display it on a wall. Any ideas? Cinnamon: I like the taste of cinnamon and the memories it evokes, of blazing log fires, mulled wine and mince pies. However more importantly I like cinnamon because of its many health-giving properties. It supposedly has the ability to help balance blood sugar levels, it also has a reputation as an antifungal agent and has been cited as having anti-inflammatory properties. 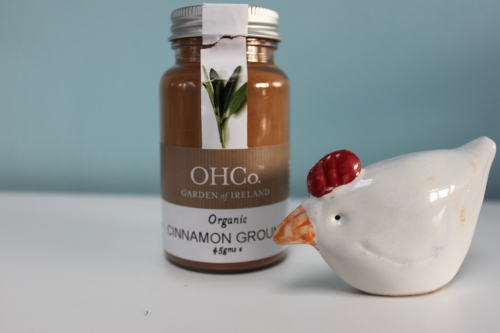 I like to buy organic cinnamon to sprinkle over porridge, slices of fruit and grilled fish.